Make a day of it by taking a whale watching tour in the morning, a movie in the afternoon, a cup of coffee at Café Haiti afterwards (in the same building) before dinner at one of the fantastic seafood restaurants on the waterfront! THE CINEMA​ is a small movie theater on the Old Harbour waterfront in the Reykjavik Centre, which plays a wide variety of different documentaries about everything from Volcanoes to Northern Lights to Vatnajökull Glacier. It has an impressive selection of scheduled shows as well as a possibility to book specifically a number of others, including films in German. 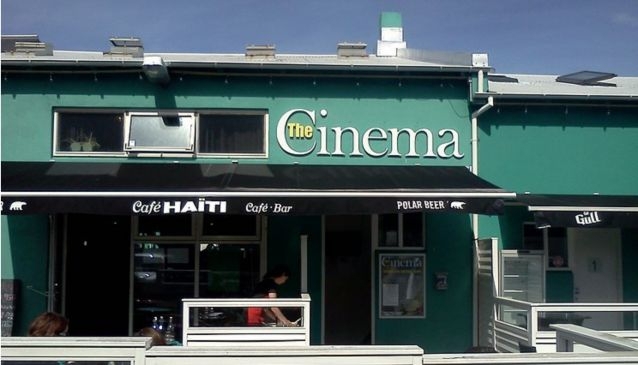 The Cinema's location on the Old Harbour Waterfront in the Reykjavik Center adds a creative flair to the bustling neighbourhood of whale watching companies, restaurants and cafés of every sort, bike rentals and other traveller's services, occupying the re-purposed fisherman's wharf. It's a great possibility to spice up an your afternoon on the waterfront before catching some great seafood at one of the top-class restaurants nearby or before going for a beer in town. Check their website for an up-to-date schedule of what movies they're playing and when, as well as prices and other facts.